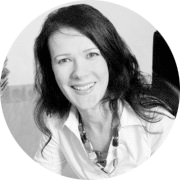 Dr Sarah Norman BM BS BMedSci (Hons) DRCOG MRCGP MEWI MBCAM has been in private practice since 1997, and is now Clinical Director at BrightNewMe, a facial aesthetics and skincare clinic in Altrincham, Cheshire. Sarah has a special interest in aesthetic dermatology, having a strong belief in improving the underlying quality of patients’ skin before they consider non-surgical treatments. She is passionate about the benefits to an individual’s self-esteem in achieving optimum skin health- and the resulting impact this has on a person achieving their full potential. By way of background, Sarah qualified as a doctor from Nottingham University in 1988 and then worked in hospital medicine (including dermatology) followed by General Practice. She has worked extensively as a medical expert witness. She is also Chair of the Trafford Division of the British Medical Association.